That was quick. On Wednesday, the first third-party search engine for Kim Dotcom’s Mega showed up on the scene, quickly climbing to the top of Hacker News. 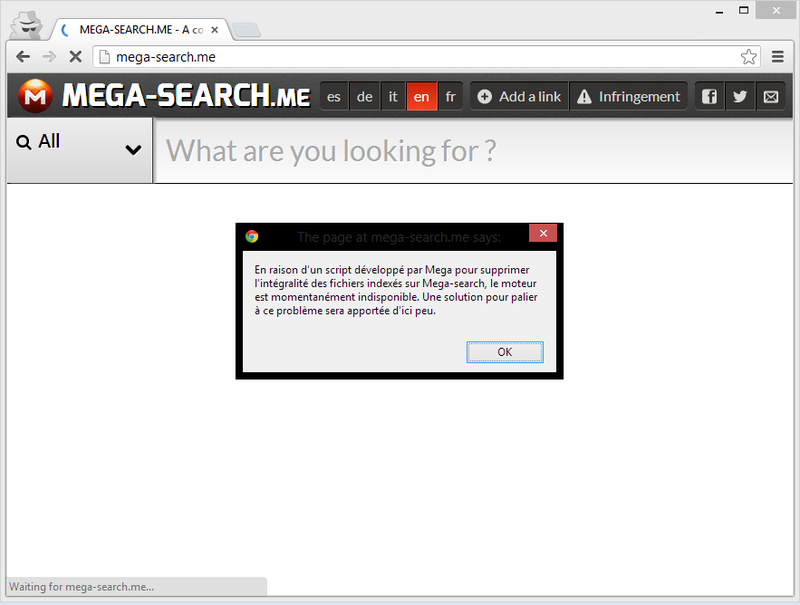 On Thursday, the site called Mega-Search.me has been rendered useless after Mega’s team stepped in to stop the indexing via a script. A quick WHOIS search showed the domain was made at 11PM UTC on January 20, the same day Mega launched. Yet it’s demise only came now because the site caught hit the media’s radar just yesterday, which presumably brought it to Mega’s attention. Dotcom is very focused on privacy, emphasizing for example, that Google and other search engines cannot index the files Mega’s users store on the service. Since Mega-Search.me couldn’t simply index the files hosted on Mega, it relied on users adding links to their own files on Mega. Users were asked to post links to their files with the decryption key in the URL. 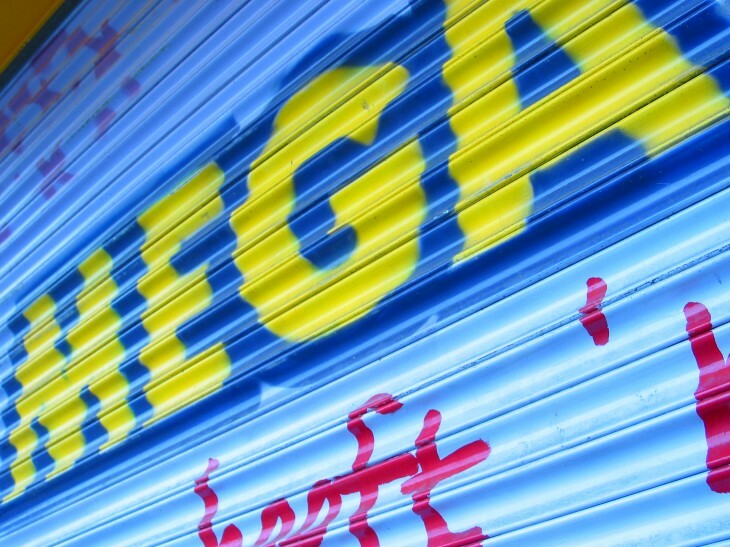 Clicking on the link took you to Mega, where you could download the file to your computers or to your own Mega account. The site even offered the option to anonymously vote links up or down. Most, if not all, the links on the search engine were to pirated games, music, movies, and software. There’s an “infringement” button, but all it does is take you to Mega’s own copyright warning. In short, Mega-Search.me was essentially a crowdsourced search engine for Mega. While it didn’t have that many features, it was still the first. If Mega’s popularity holds, and we don’t see why not, Mega-search.me will likely be the first of many.